We never thought it possible, but Not Your Father’s Root Beer by Small Town Brewery is now available in New York City! It’s still hard to get, but if you put some work in, you’ll be able to snag a bottle or two at the better bottle shops in the city. 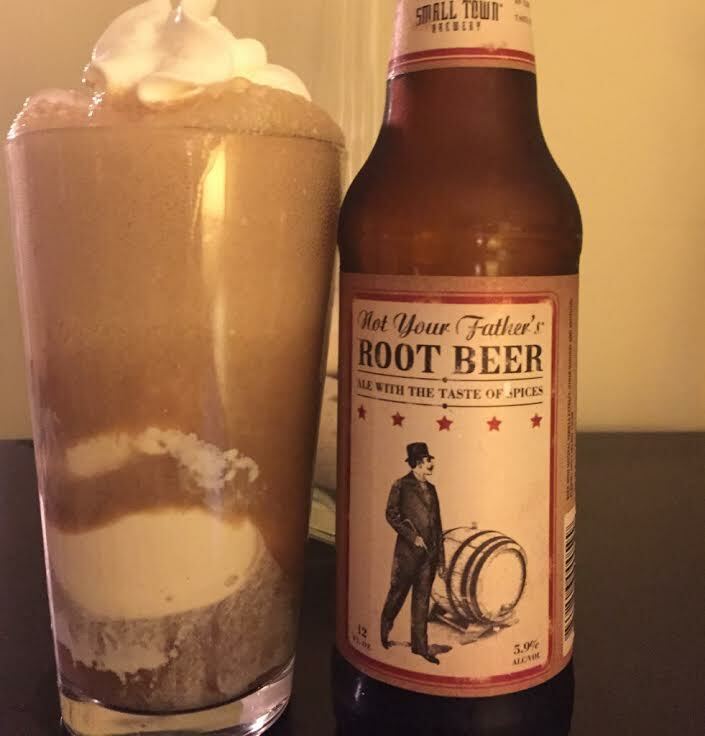 We just love it so much (read our review here), so why not make alcoholic root beer floats?! Pour into a glass, add a scoop of ice cream (we used vanilla to keep it traditional), and some whipped cream to top it off. And it’s the best thing ever. Everything pairs perfectly, is not too sweet, and brings you back to being a kid… but this time with alcohol!